The iconic Bob Dylan was tapping into one of my dreams when he sang “The Anser, my friend, is blowin’ in the wind”. Apologies to those of you who might not have “gotten” my [poor?] attempt at humour there, but I do dream about geese more often than I like to admit. And maybe, just maybe, I could smell a few in the wind this morning. A quick look at some surface pressure maps for today show that a big low pressure system is sitting in the middle of the north Atlantic right now, and the resulting winds are lined up nicely between Iceland and Newfoundland. These are the kind of winds that birders here on “the rock” dream about in spring … the kind of winds that bring European rarities to this side of the ocean. Granted, it is a tad on the early side and I might be more excited if I saw these same maps in mid-late April when Icelandic migration is at its peak — but a guy can dream, can’t he? 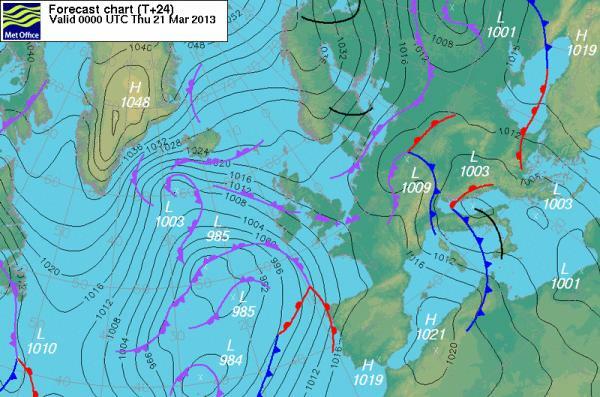 The weather map for today (March 20) shows a wide low pressure system advancing up the mid-Atlantic. The tight isobars north of that system indicate moderate-strong winds blowing directly from Iceland to Newfoundland & Labrador. Maybe I should be embarrassed to say it, but those curves are the stuff my dreams are made of!! 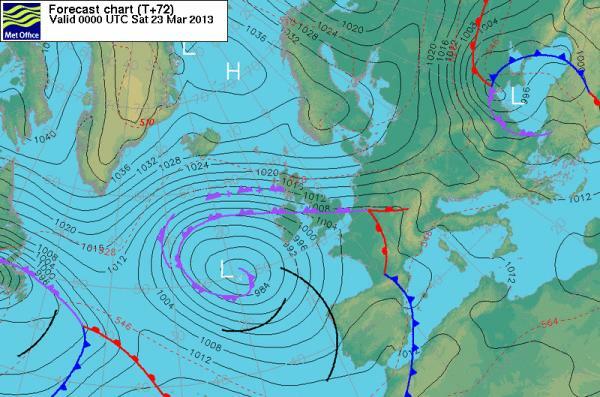 The pattern holds strong for tomorrow (March 21), when the winds produce a perfect trans-Atlantic highway from western Europe – Iceland – Newfoundland. Oystercatcher, anyone?? 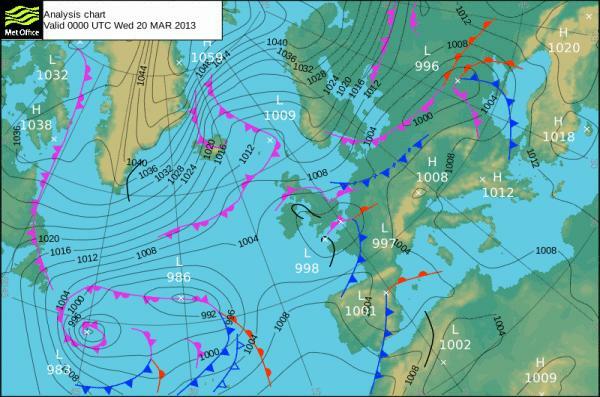 With a low pressure system continuing to churn off the west coast of Europe, favourable winds will continue to blow from Iceland for the remainder of this week – as shown by this map for Saturday, March 23. 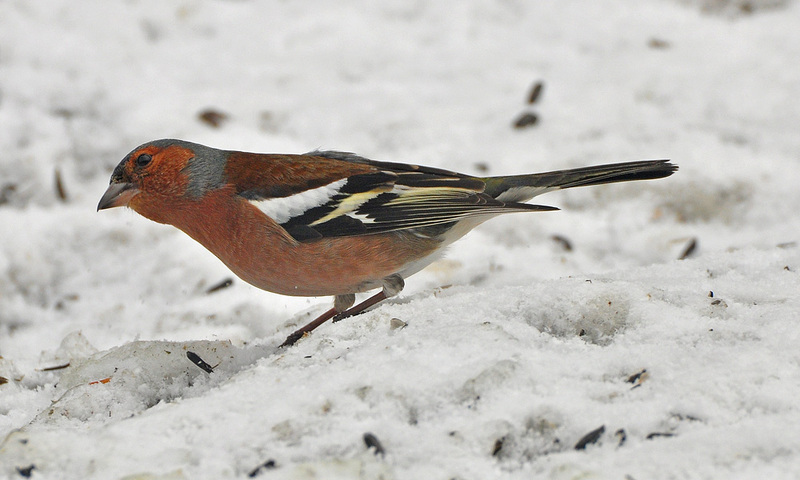 For a more detailed discussion of Icelandic/European vagrants that have been recorded here in spring, check out this earlier post. A number of species begin to arrive in Iceland in March, including Whooper Swan, Common Shellduck, Eurasian Oystercatcher, European Golden Plover, and (yes!!) Graylag Goose. It’s time to turn our attention east once again, and keep our eyes peeled for wayward visitors along our shores. I could do with one of those dreams coming true right about now. 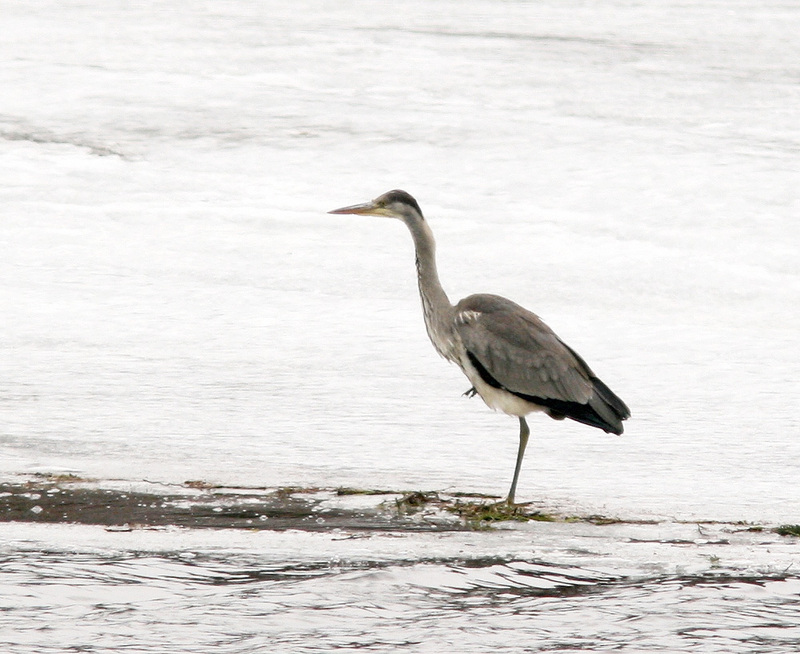 A “Great Blue Heron” was reported in Little Heart’s Ease on Saturday – a very early date for any heron in Newfoundland, and especially on the northeast coast. Fortunately, Bruce Mactavish was on the receiving end of that report, and alarm bells started going off in his head. 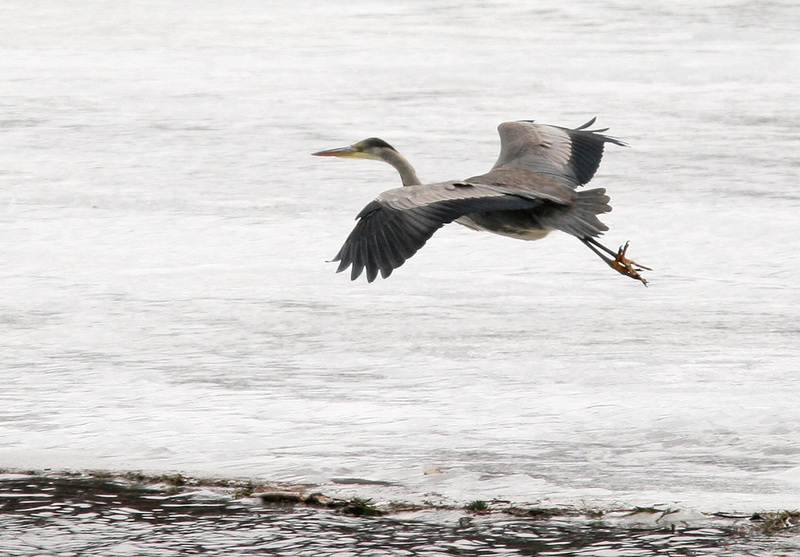 It was only ~10 days ago that he had sent me an email about the “killer winds from Iceland” … and we knew that some early Gray Herons has begun showing up there. Could it be?!?!? Bruce Mactavish, Ken Knowles and John Wells set out early Sunday morning to check it out. I stayed home (very close to the phone), keeping some family commitments. But when Bruce called to say they had found the bird and were “99.99% sure” it was a Gray Heron … well, let’s just say I broke the news to my VERY understanding wife, helped her get the kids ready for an outing, spread the news and (finally!) hit the road. Two hours later, Paul Linegar and I were on the spot, looking hard … we KNEW it had to be there, but it was playing hard to get. After 30+ minutes, it flew in and landed on the ice. 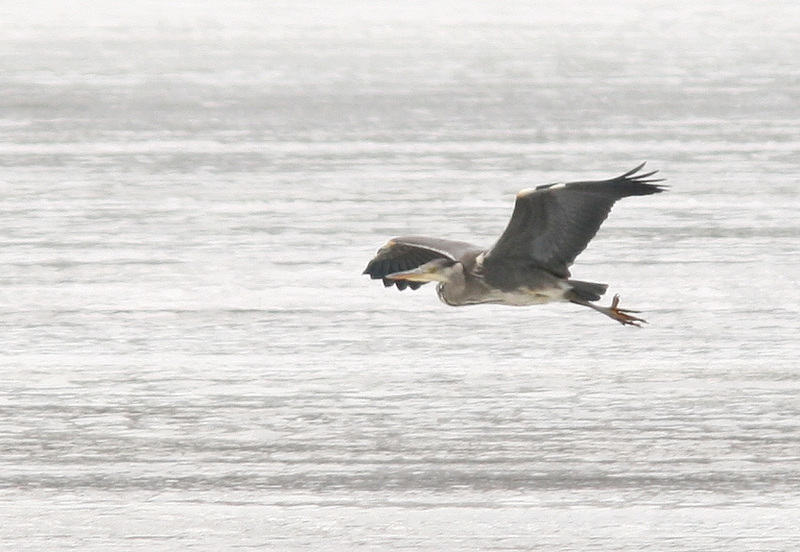 We had good looks for the next 15 minutes as it flew around the estuary and fed along the ice edge – allowing us good looks at all the important field marks – including the all white thighs and leading edge of the wing (both rufous in Great Blue Herons). KILLER!! The heron then flew off and disappeared, only to be found tucked inconspicuously against the shore on the opposite side of the water. And that’s where it stayed for the next hour and half until we left. 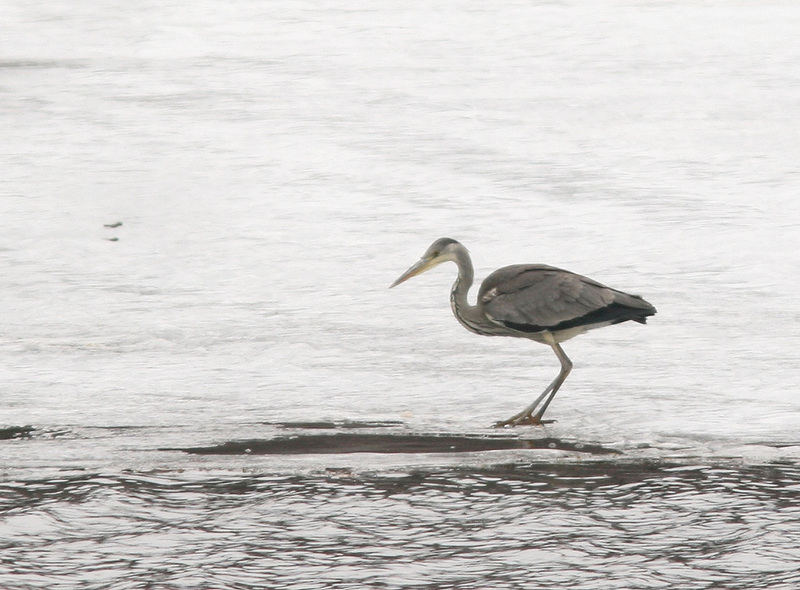 As can be expected after a long trans-Atlantic flight (only to find itself in the cold, icy Newfoundland of early March), this Gray Heron looks and acts a bit exhausted. 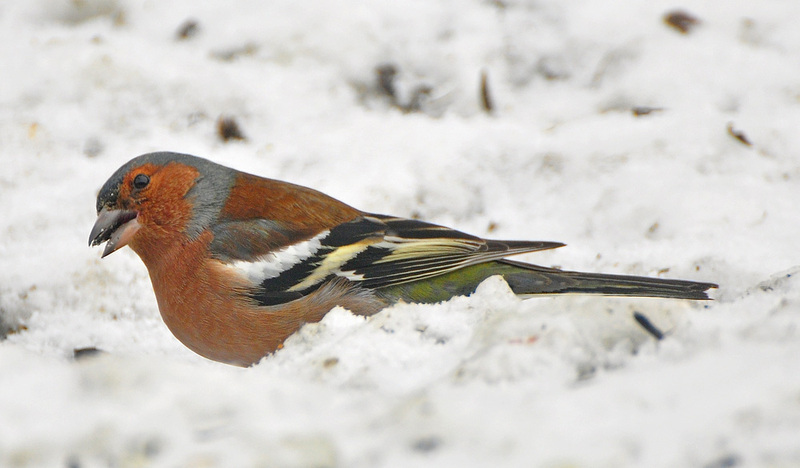 Nevertheless – it was a beautiful bird and an awesome experience. Let’s hope it sticks around for a while!! !